You are here: Home / Communication / News / Less than a month to register on EWJI Forum 2019! The European Water Jetting Institute (EWJI) is finalizing the details of the EWJI Forum 2019 and the registration form will close on 15 February. It is less than a month! Don’t let pass the opportunity to get in touch with contractors and suppliers of the industry. The Forum will be held on 20 February, in Courtyard by Marriott Brussels hotel (close to the Brussels Airport) and the previous day will take place a welcome dinner to gather the stakeholders of the water jetting industry. The forum will consist in three workshops and a conference in which panelist form different leading companies in the sector will participate to share their experience and knowledge in the industry and to generate a rewarding debate among the attendees. The workshops will be about three interesting topics for the professionals dedicated to water jetting activities: standards of equipment, competency of contractors and European qualification for workers and equipment operators. 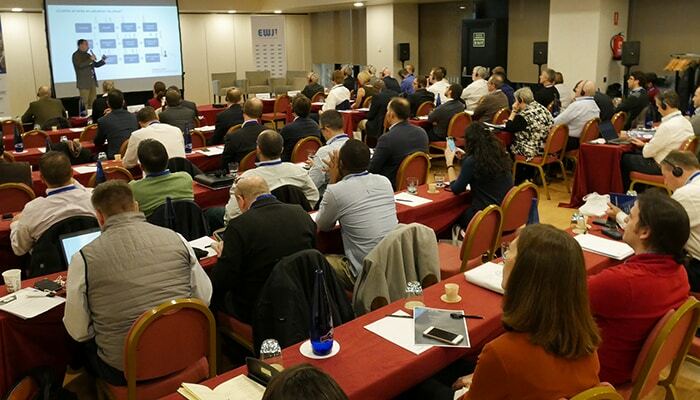 This year, the European Water Jetting Forum 2019 includes a conference about the global hydro blasting standards that will try to answer several common questions of the professionals of the industry. More and more companies are supporting the EWJI Forum: SPIR STAR and TST SWEDEN AB join PARKER HANNIFIN EUROPE SARL as sponsors of the event with the Silver package. The supplier and manufacture companies can choose one of the three different possibilities: Gold, Silver, and Bronze that include a space at the Exhibition Area and visibility in event materials and communications actions (before and after the event). To get more visibility, companies can get an extra (lanyard or documentation in the event’s bag) to highlight their logo and their brand.